The one thing online keno lacks, even live dealer keno games, is the social aspect of heading down to your local pub and having a beer with some mates, while placing a bet on the draw. Playing keno in a land based pub, bar or casino is a big part of Australian gambling and gaming culture, especially among older punters, so if you want to take a break from playing online and head out to the real world, there are some great pub keno games out there with big wins up for grabs. Note online keno does offers players more variety, better odds and superior convenience than playing in brick and mortar venues. Online keno variations tend to be more inventive and offer a bigger range of betting limitations, making the game more accessible to lower wager Australian punters. While online keno offers more playing options, real life pub keno has produced some huge winners over the years. In August 2014, a pensioner went into the Jim Dandy Hotel in Dandenong, Melbourne and placed a $50 keno bet and came out a millionaire, racking up a sweet $2,779,562 windfall. Not bad for a quick trip to the pub! South Australians love throwing down some real money keno bets over a pint of Coopers Pale Ale with this Tatts Lottery classic. With new games drawn every 3.5 minutes, you never have to wait long for your next chance at a keno win, just make sure you have your numbers picked no later than 40 seconds before the draw commences. Players can pick from one to 10 numbers, with a perfect 10 for 10 bringing in a $1 million jackpot. To add another exciting element to an already awesome keno game, there is also a side bet option, the Keno Coin Toss. Here, players wager on either heads (a majority of the 20 drawn numbers will be between 1 and 40), tails (a majority of the 20 drawn numbers will be between 41 and 80) or evens (the drawn numbers will be evenly dispersed over all 80 numbers). 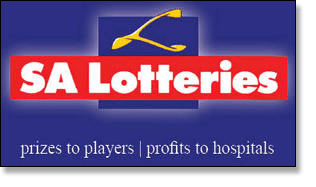 SA Lotteries Keno can be played at any lottery outlet across the state, as well as in the ACT under the name ACTTAB Keno. NT Keno can be found at a range of gambling venues across the Northern Territory, with outlets at over 60 pubs, RSLs, hotels and sports clubs. It is owned and operated by SkyCity Darwin, with a new draw happening every three minutes. NT Keno can be played for as little as $1 per ticket and players have the choice of selecting their own numbers or using the Quick Pick option. There are a range of winning options within this Northern Territory Keno game, including progressive jackpots constantly rising, a 10-Spot Jackpot that pays over a million dollars for matching 10 numbers, SuperPlay tickets that provide multiple ways to win, and a side bet called Heads or Tails which works in the same way as SA Lotteries Keno Coin Toss mentioned above. This popular Keno game can be found at pubs across Victoria, New South Wales and Queensland. This pub keno game ticks all the right boxes. Games can be entered for as little as $1, with new games starting every three minutes. There are a range of variations offered through Tabcorp’s keno game. Players can choose to play Classic, Kwikpik, Jackpots, Heads or Tails or Bonus, each which comes with its own rules and pay scale. These game variations give players the chance to play for bigger jackpots and multiply their winnings, while adding an extra element of excitement. Owned and operated by Gold Coast’s famous Jupiters Casino, this keno game can be found in pubs, lotto outlets and casinos across Queensland and New South Wales. Jupiters Keno if essentially the same as NT Keno, with the main difference being when playing Jupiters Keno, players can take out a jackpot for hitting seven out of seven as opposed to the NT 10 out of 10. Otherwise known as Tas Keno, punters can be found playing this keno variation at pubs, clubs, hotels and country clubs across Tasmania. Games run every three minutes, seven days a week, with tickets for as little as $1.00. Keno in Tasmania has three jackpots on offer; 7 Spot, 8 Spot and 9 Spot. The highest Tas Keno winner was a woman who struck it lucky with a $977,1549 Spot jackpot back in 2010. Whether you play keno online or at your local pub is entirely up to you, with great wins up for grabs no matter your preference or location. 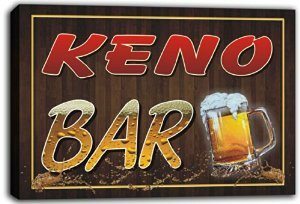 Playing Australian pub keno is a great way to socialise, whereas online keno offers greater convenience, improved odds, more lenient betting options, and superior accessibly and convenience factors. If you’re familiar with the pub keno scene and want to try your luck at online keno, head to one of our recommended trusted sites like Royal Vegas Casino, G’day Casino or Casino-Mate which offer real money wagers in Australian dollars.